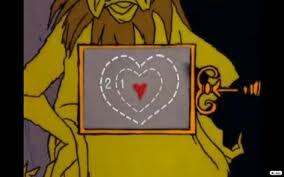 It’s offically New Year’s Eve morning and I am telling the world to get a “heart-on”. Who do you love? What do you love? Your heart does not have limits to what you can put in it. I originally wrote “what you can fill your heart with” but that implies that there are limits to what your heart can hold. There aren’t. Your heart doesn’t get crowded when another another child is born. It doesn’t squish when your girls bring home their partners. Your heart grows and stretches. Love and your heart expands exponentially (Yes, this is for you math buffs – exponentially like the seismic scale!) to include what you want and what wants in. #1! Let yourself love! Love yourself! You deserve it. I know I deserve it. I know there will be purists who say you cannot love inanimate objects (I object!!!!) or feelings. I disagree. It may just be semantics – love – care about – be passionate – bliss – care for – adore – like etc….or it may be that there is no true word for the ability of something or someone to swell your heart and make you feel good. Allow your heart to grow. #2! Explore. Find something or someone to include in your heart. This can be really fun but don’t beat yourself up if you end up not liking the tae kwon do you tried on. #3! Tell people! If you care for them, tell them. It’s not as easy as it sounds and some people may feel uncomfortable hearing it but you can bet their own hearts will grow even just a little bit! If you have a passion or find something you love – tell people about it. Sharing is half the fun. The view from my deck at 8 am Dec. 31, 2011. 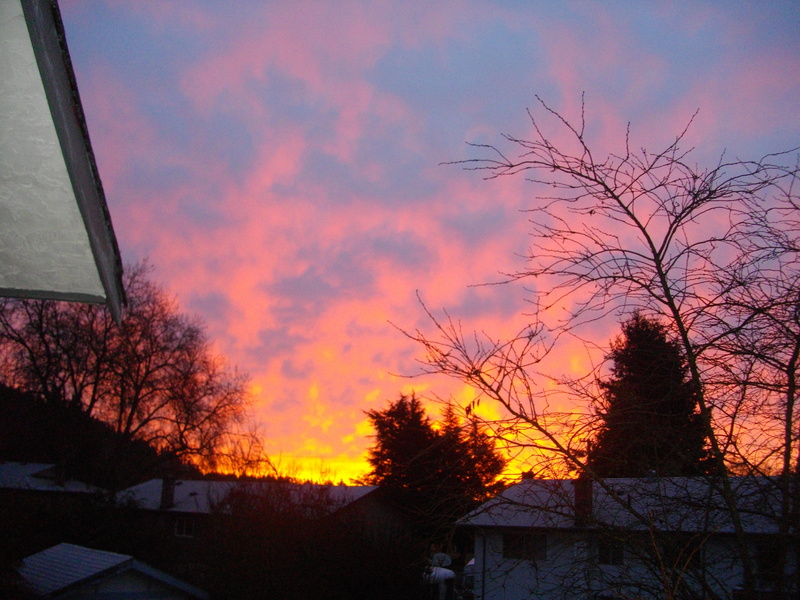 The sky is on fire! #4! Show your love. I’m including a picture I took this morning from my deck! I LOVE sunrises and sunsets. In fact, I love looking into the sky and discovering what I can enjoy and share. Hug someone. Donate to a cause you believe in. Lose weight for yourself and those who love YOU! # 5! Imagine! This is where we get to change the world. Imagine a world full of love. Imagine a world where people are loving and giving because it feels good. Imagine feeling good. Love it! So, enough of my New Year’s Eve rant. Get a Heart-on and share the love. ~ by 1fatgirlshrinking - Diane Kirby on December 31, 2011.